We could never have imagined how much one small article in a newspaper could have changed our lives....'Women wanted to walk to North Pole'. 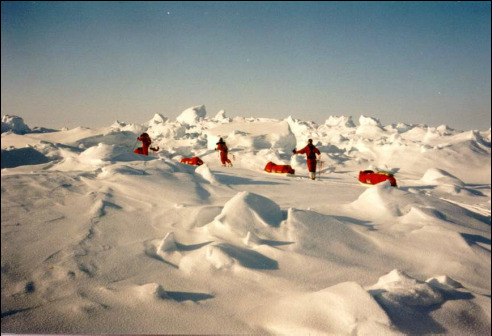 Within two years, Sue Riches & Victoria Riches (mother and daughter), were trekking across the frozen wilderness that is the Arctic Ocean, as part of the first all women's expedition to the North Pole. At times totally terrifying and at times indescribably beautiful, it was a trip of a lifetime. We discovered that ANYTHING is possible if you put your mind to it, and if you WANT to succeed. We have since written a book, Frigid Women, and are regularly booked as motivational speakers giving talks all over the world. If we only inspire one person to follow their dream, then we have succeeded.